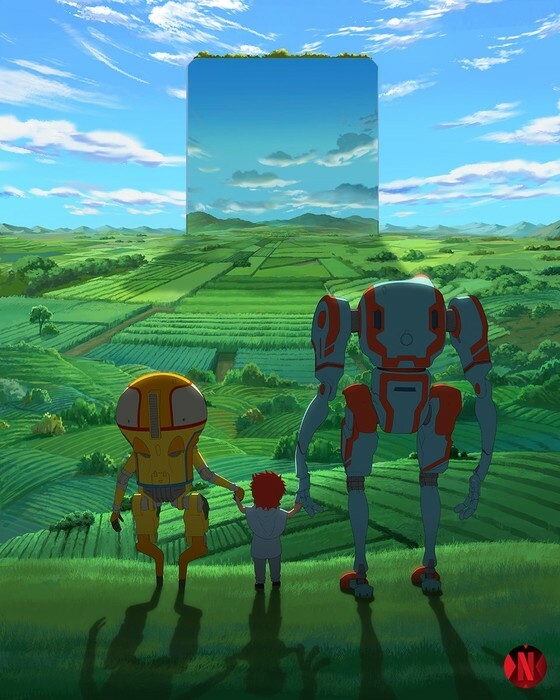 Netflix announced on Sunday that it is producing a new four-episode original anime titled Eden . The anime will premiere in 2020. Yasuhiro Irie ( Fullmetal Alchemist: Brotherhood , Alien Nine , Scorching Ping Pong Girls ) is directing the anime at Qubic Pictures and CGCG, and Justin Leach is the producer. Kimiko Ueno ( Kuromajyo-san ga Tōru!! , The Royal Tutor ) is producing the screenplay. Toshihiro Kawamoto ( Cowboy Bebop , Noragami ) and Christophe Ferreira ( BUTA , Napping Princess ) are working on both character and concept designs. Clover Xie is the background art director. Kevin Penkin ( Made in Abyss , The Rising of The Shield Hero ) is composing the music.